Here, as promised last post, is the story of my entry for the 2018 Australian Sheep and Wool Show, hand woven garment. The Woolcraft theme for 2018 was ‘Homefront’ presumably in celebration of the end of the First World War. This got me thinking about what my female relatives would have been doing at the time. 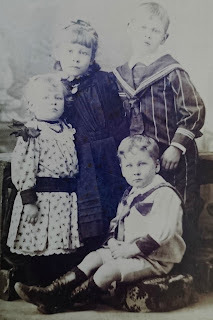 My great aunts, with whom I share the textile gene, would have been mourning the loss of their younger brother at Pozieres, and, at the same time, and along with my grandmother, his fiancée, worrying about their older brother, my grandfather, who had been wounded at Bullecourt and ended up in hospital in England. 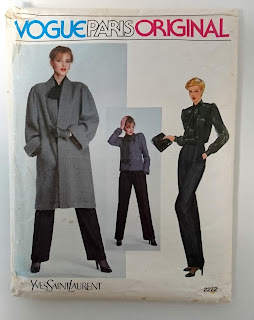 I rather fancied making a coat, using my favourite Vogue Yves St Laurent coat pattern from 1979 again, but in a different colour from the 2 previous versions. 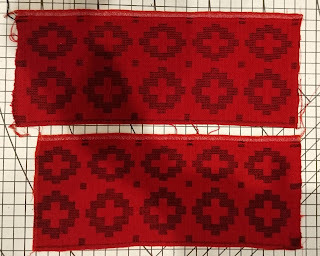 It’s a great pattern for hand woven fabric as there are not many pieces and I’ve adapted it to remove the fullness at the top of the sleeve and added a lining. 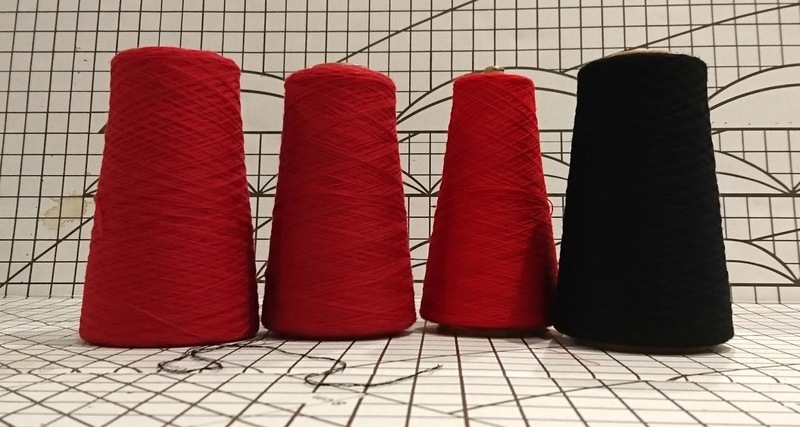 I settled on red and black and wanted a bold pattern. Then there was the question of weave structure. I had made a couple of scarves in summer and winter and liked the firm fabric it produced, probably better for sewing into a garment than for a scarf. I got out my favourite summer and winter references - in no particular order - The Best Of Weaver's Summer plus Winter, Tien Chu's article in Handwoven May/June 2014 and the the recent March/April 2018 issue of Heddlecraft. 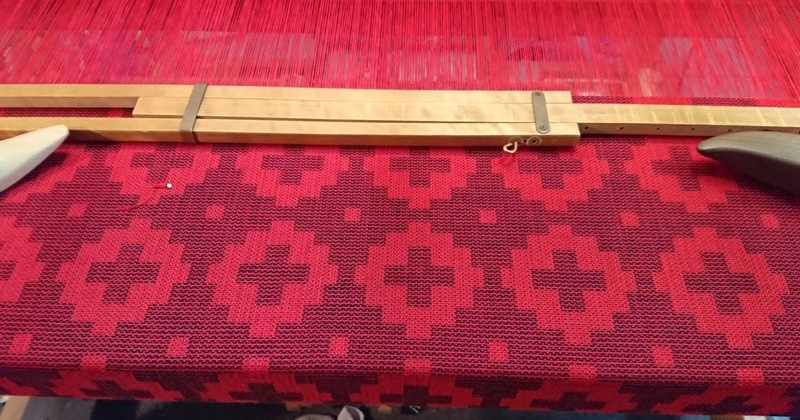 I started playing with the weaving software. I knew that I’d done a skeleton tie up on the Toika loom before and that I still had one treadle that was jammed. Using a design which required every treadle and shaft wasn’t the best idea. 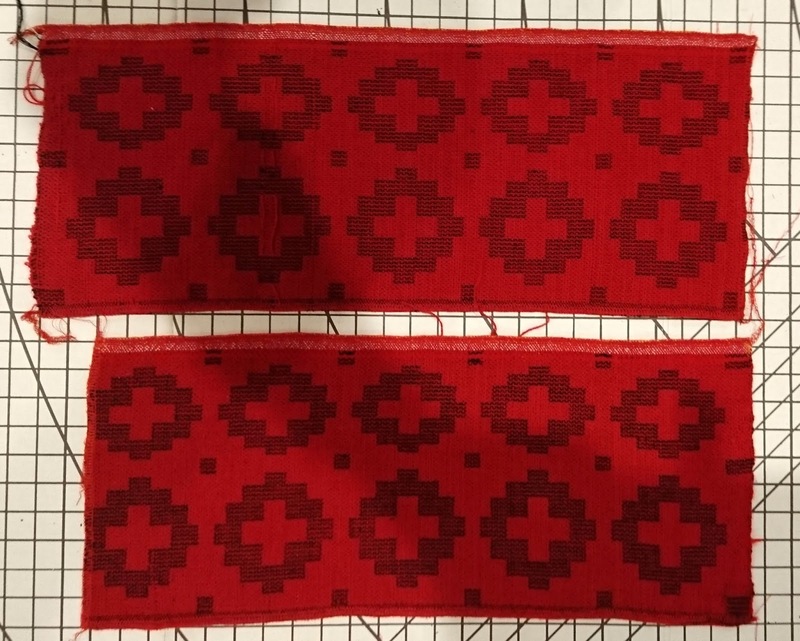 I tried a profile draft that needed 7 shafts to give 5 pattern blocks and as I was playing with the design, red crosses popped into view, a couple more clicks and I had stylised poppies on the other side of the fabric as well. 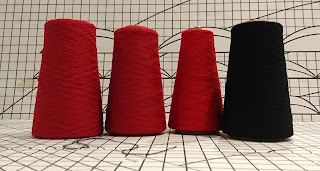 It could all be done with 7 shafts and 9 treadles, it was a bold pattern, and I could use one side for the main part of the coat and the reverse for the bands. 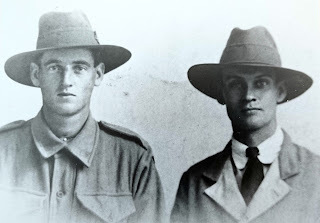 I had poppies for my aunts who were mourning their brother and for my grandmother who was a florist and red crosses for the medical services looking after my grandfather. Design done! I had a red yarn in the stash, actually from Sylvia Mason's stash, that was just fine for weft but not enough for a warp as well, so, as I wrote last time, made a couple of trips to Yarn Barn to make sure I had enough yarn and there would be no need to tie on extra warp. I cut it off, told the Toika loom I'd see it again when the weather warmed up and ran back to the warm part of the house. I had 5.2 m of fabric, more than I really needed fortunately as I had woven most of it wrong side up and there were a lot of skipped threads and other things to be mended. I still managed to waste a lot of time getting ready to cut – made the lining, made the seam binding, measured it more than twice, several times. Eventually it could wait no longer so I started cutting and I had it mostly finished within a couple of days and at the Guild, the pick up point for entries, at least an hour before the deadline. The judges must have liked it as it won its section but I have to confess that there were only two entries in the section. 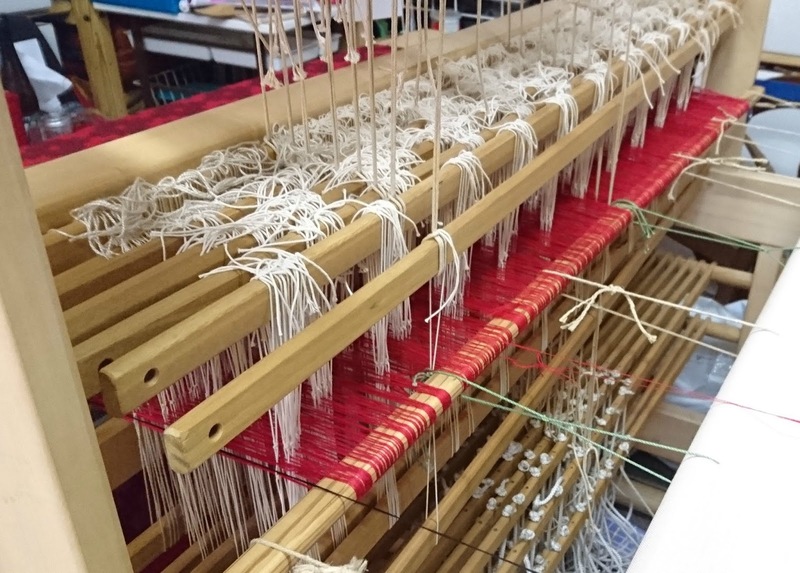 There were not a lot of weaving entries apart from the scarf /article section and it would be great to have more entries.